13 Cute Jewelry Boxes for Girls! Here are The Cutest Musical Jewelry Boxes for Little Girls and Big Girls! One of the most beautiful and cute gifts for girls and women of all ages, is a beautiful jewelry box! I got my very first musical jewelry box when I was 5 years old and it is one of my most memorable gifts! Every girl and woman has rings, necklaces, earrings and trinkets they need to keep safe. 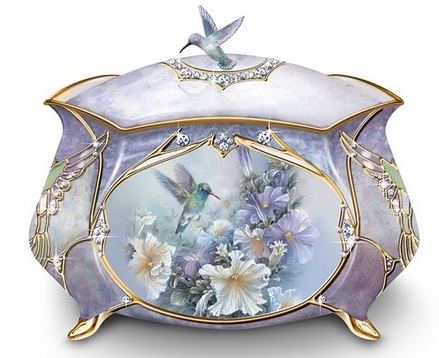 Besides being a beautiful gift, a jewelry box is also a practical and very useful gift! I selected a few of the cutest jewelry boxes for girls here, but many of them can also be for moms and grandma as well! I hope you enjoy them and find the one you are looking for! *How gorgeous and absolutely magical is this Cinderella blue jewelry box shaped like a carriage pumpkin? When you open the magical carriage you will see her and the prince light up and start dancing to their music! 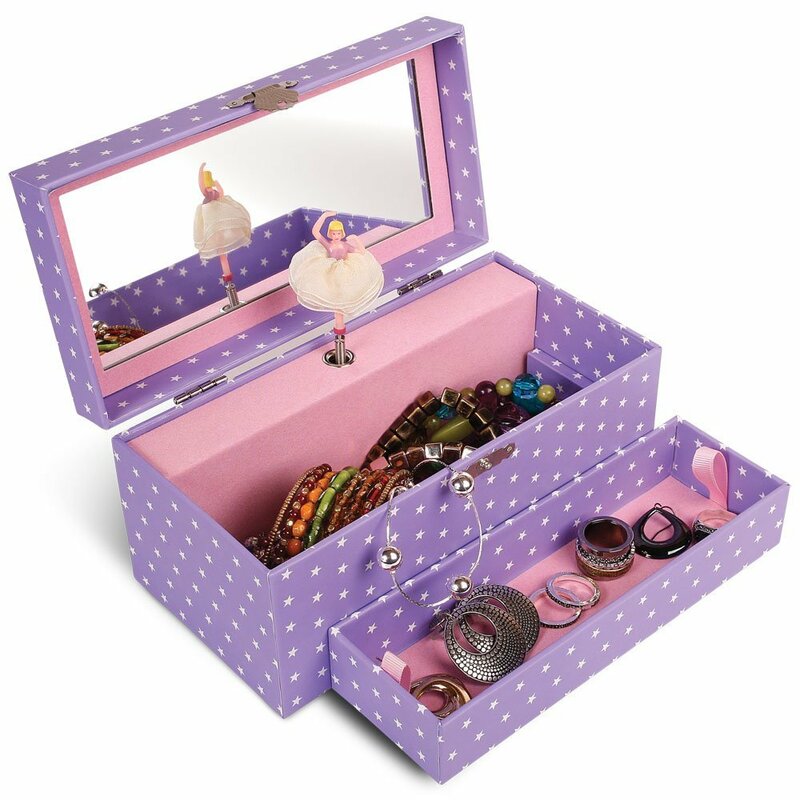 Adorable Jewelry Box for Girls Ages 4 to 7 Years Old! Look who wants to keep your cute jewelry safe! It is a very cute gift for little girls ages 4 and up! There is a magical key that will reveal the magical box! 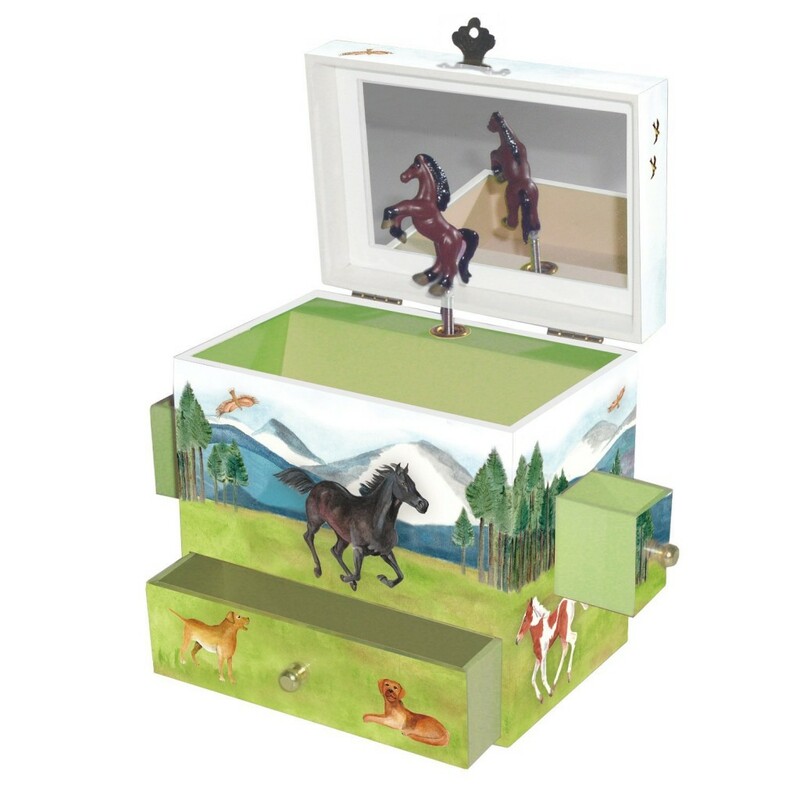 Cute Horse Jewelry Box for Girls Ages 4 to 10 Years Old! Little girls usually LOVE horses and this is one of the most adorable horse theme musical jewelry box around! Plays “Home On The Range”! 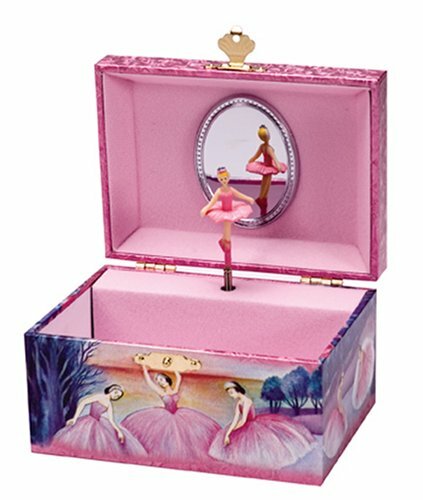 Beautiful Ballerina Pink Jewelry Box for Girls! Girls of all ages love musical jewelry boxes! They are cute and fun! One of my most treasured childhood memories was when my grandmother gave me a beautiful black musical jewelry box with a pretty ballerina dancing to an Asian song….. The music box had multiple small “drawers” and compartments for jewelry and it was very fancy looking! A musical jewelry box is a fun way to keep all their small stuff organized. 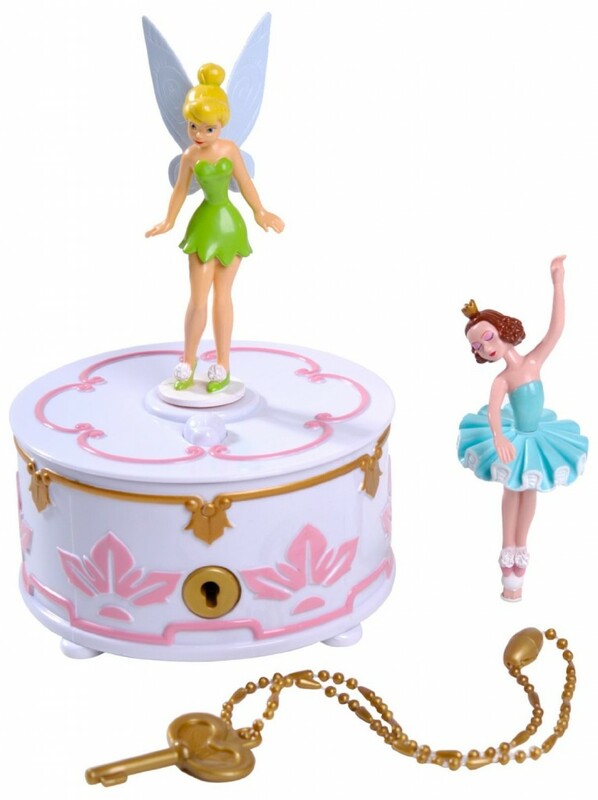 This cute and adorable pink ballerina musical jewelry box will be a huge hit! It plays “Swan Lake” while the ballerina spins to the music! 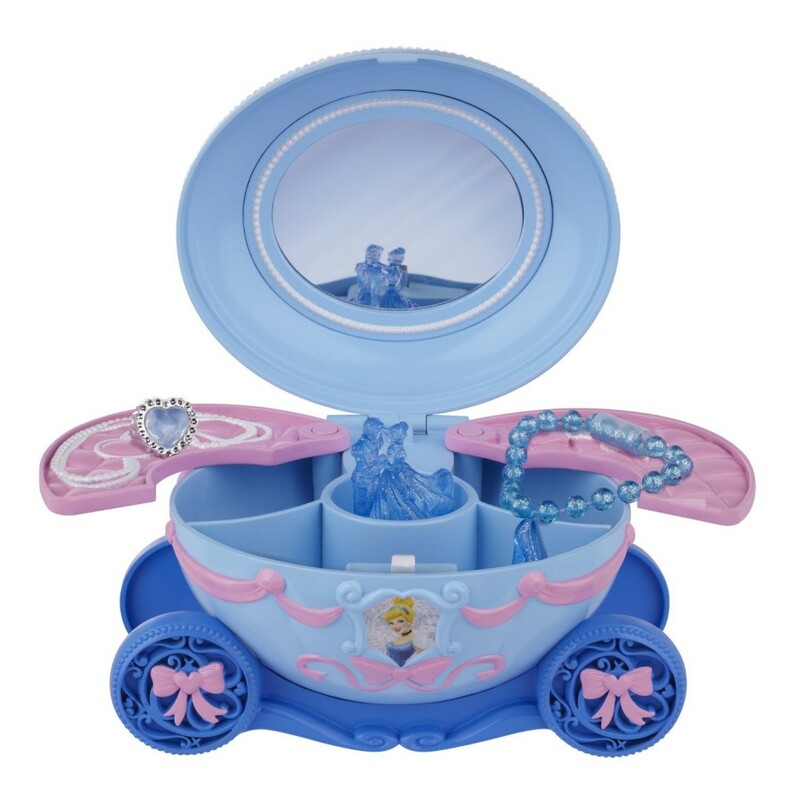 Anna and Elsa FROZEN Musical Jewelry Box! To all ice princesses out there! It is a Frozen musical jewelry box featuring the sisters Anna and Elsa spinning to ‘Let it Go’! Gorgeous Wizard of Oz Dorothy and Glinda Ruby Slippers Jewelry Box! The Most Precious Musical Jewelry Boxes for Girls! 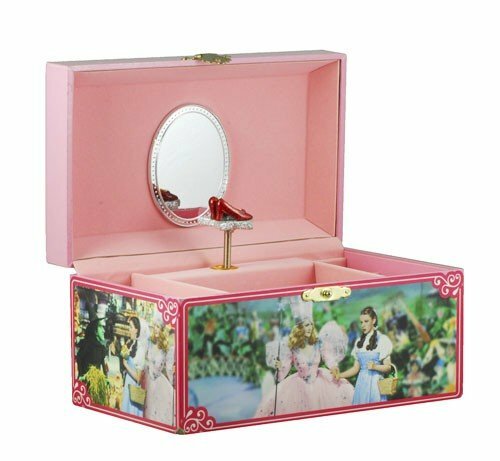 This pink Wizard of Oz jewelry box for girls is just magical! Look at the cute and sparkly red ruby slippers that twirls as the music plays “Somewhere Over the Rainbow”! 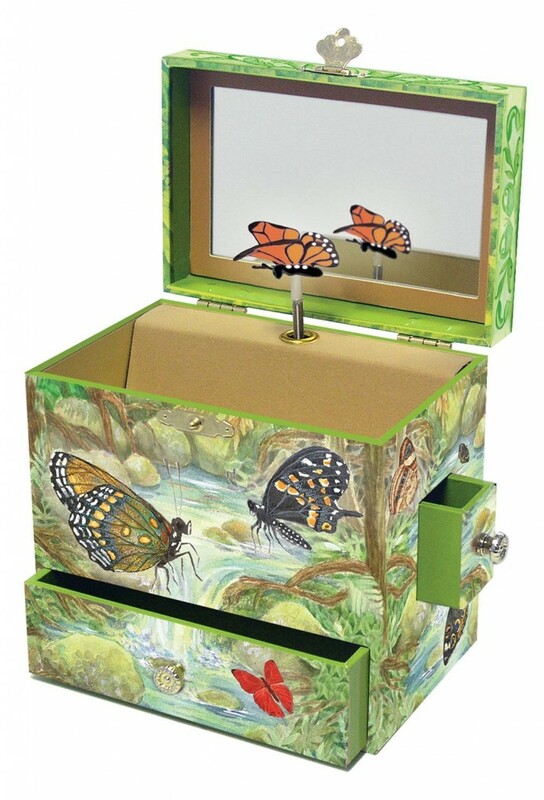 What a precious monarch butterfly musical jewelry box for girls! If your little girl loves butterflies, this one is perfect for her! 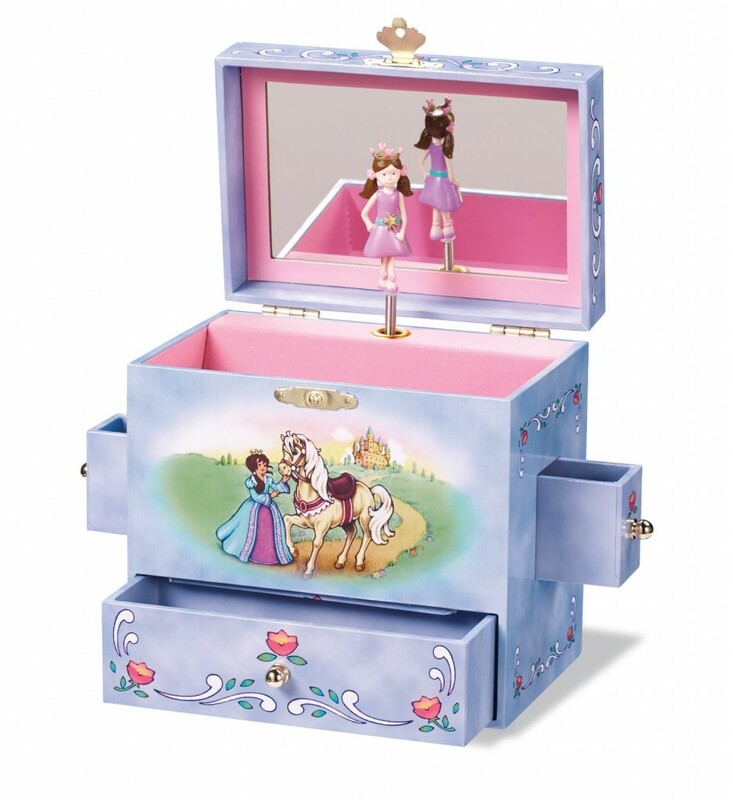 Adorable Fairy Tale Princess Musical Jewelry Box for Little Girls! 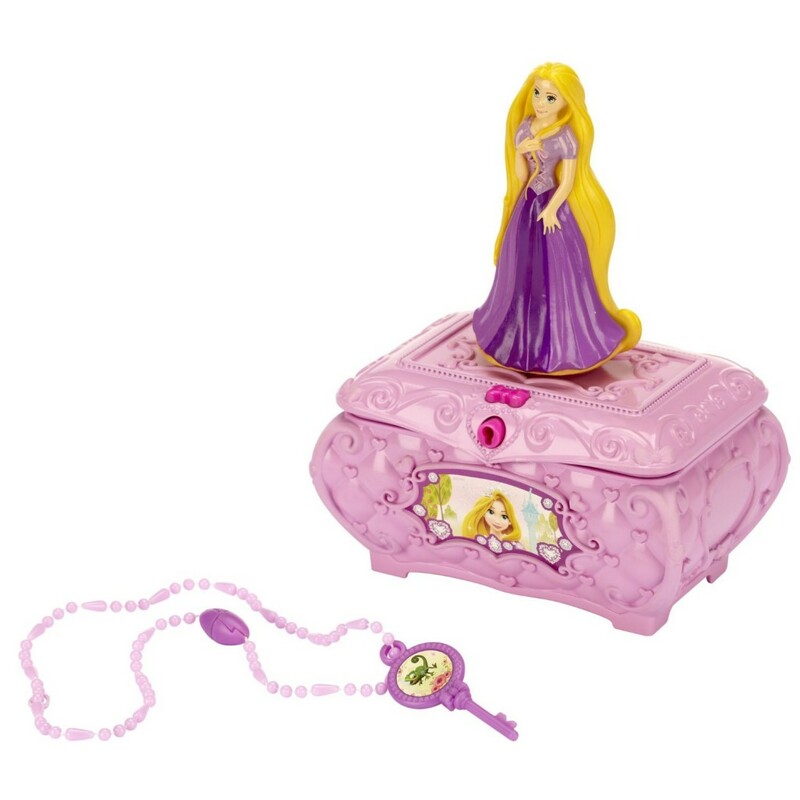 A beautiful fairy tale princess wearing a cute purple dress, a princess tiara and holding a magical star wand will start dancing to “Sleeping Beauty” tune when your little girl opens the box! 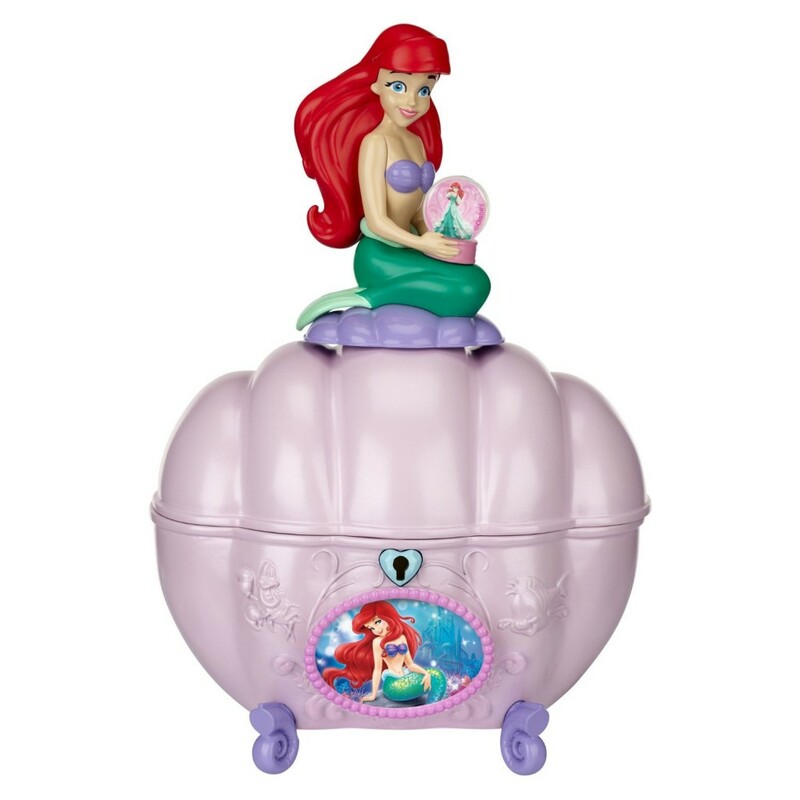 Very Cute Disney Princess Ariel’s Musical Jewelry Box! 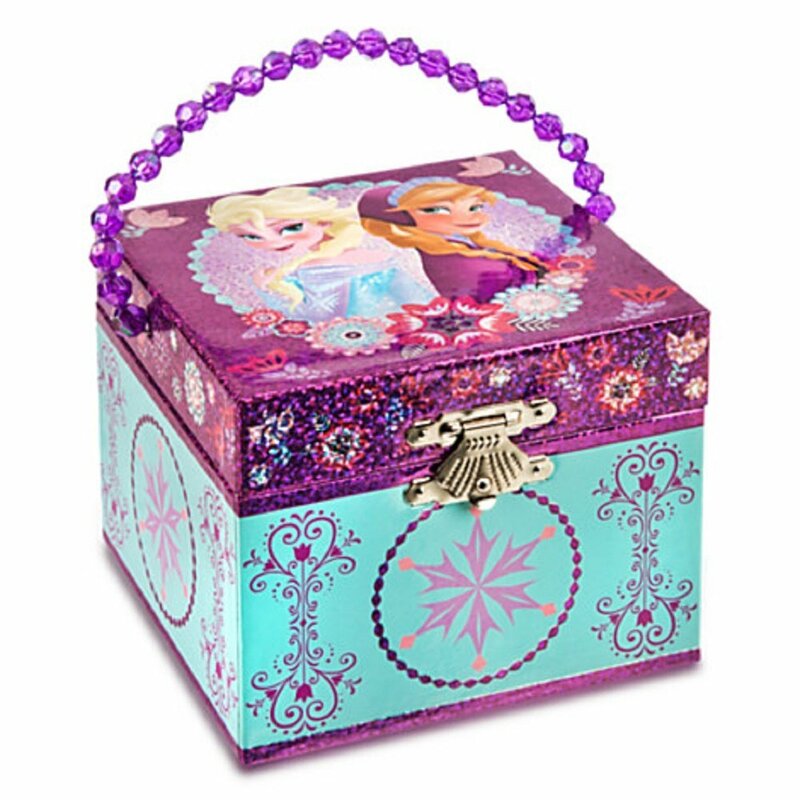 Best Jewelry Boxes for Girls Ages 3 and 4 Years Old! Look who came to play and to the tune of “Under the Sea”! My favorite Disney princess of all times! When I was a teenager I let my hair grow just like hers! This jewelry box is beyond adorable! Let out your hair and come play to the sound of “I See the Light”! Gorgeous Purple Musical Jewelry Box with Stars that Plays Für Elise! Another gorgeous ballerina jewelry box for girls! This one is purple and full of beautiful stars! When Für Elise starts playing, the cute ballerina will start spinning round and round and round! Pretty and Sparkly Heart Shaped Musical Jewelry Box for Little Girls! 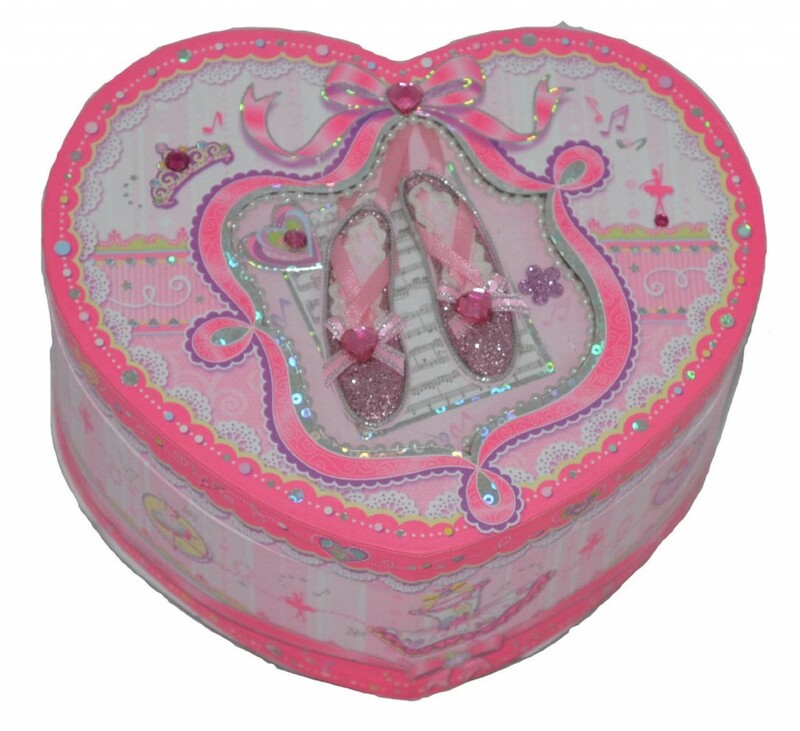 How pretty, adorable and very sparkly is this pink heart-shaped musical jewelry box for little girls ages 3, 4 and up? Yes, there is also a beautiful ballerina inside! This is a beautiful and very sparkly hummingbird jewelry box for older girls, teenagers and women of all ages who love birds! It plays “On the Wings of Love”. It is a stunning music box! Best Gift Ideas for 3 Year Old Girls!